Logik oven, cooker decal sticker sets for worn facias. 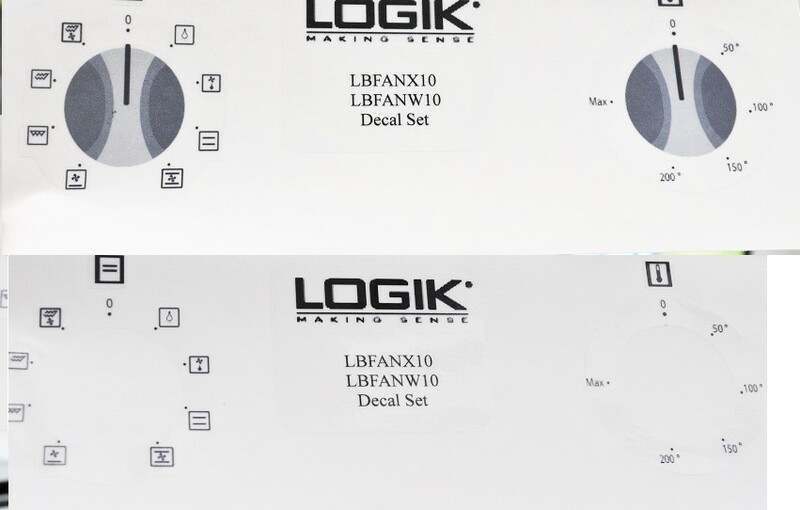 Logik LBFMX14 front panel fascia decal sticker set. 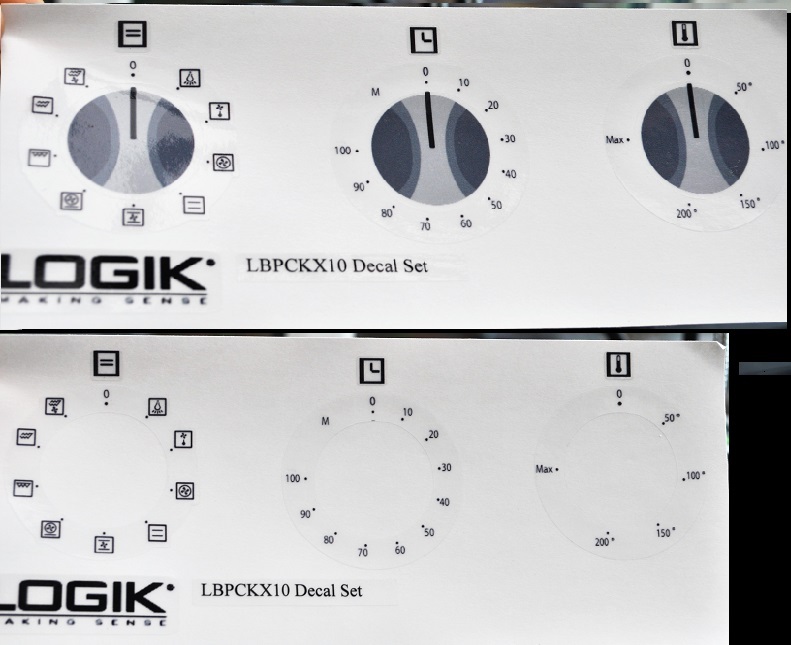 Logik LBIDOX16, LBUDOX16 Decal sticker set, may fit others.